I joined Allis-Chalmers in 1979 in the employee communications department in West Allis. We produced the monthly employee newspaper and a quarterly magazine. I was fortunate to travel to many of the divisions to gather stories and photos. My favorites included the hydroturbine plant in York, Pa.; the Gleaner combine plant in Independence, Mo., the engine and lift truck plants in the Chicago area; and Simplicity in Port Washington, Wis. When business went bad in early 1980's, corporate staff was cut but fortunately I was offered a job as supervisor, advertising materials in the farm equipment division where I worked for Bill Anderson and Dan Nelson. One of my favorite jobs was supervising production of "The Landhandler" magazine. I also enjoyed going on equipment photo shoots. In 1987, I spent two weeks in Charles City, Ia., directing a shoot for the 9000 series tractors with the Deutz engines. I'm glad to see AGCO brought back the orange paint! 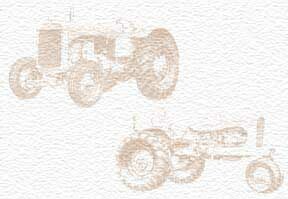 I have some memorabilia that I'd be willing to trade, such as two 70th anniversary tractor calendars. I'd also like to hear from any of my old A-C friends. As of June, 2012, I am back working in the old Allis-Chalmers complex! I am now an employee of the Association of Equipment Manufacturers, which is located in Summit Place, one of the former shop buildings that has been repurposed as an office building. Update: I plan to retire from AEM on May 11, 2017. I will miss coming to this special place each morning for work.